As an artist Jac Zagoory has created a new dimension of form and grace. He revels in the rare and unique. 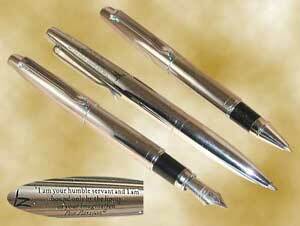 His deep roots in design and love for pens inspire these wonderful collections. Here is a sampling of his incredible talent and creativity. The collection below is all first quality merchandise reduced in time for the holidays.